Dry powder inhalers (DPI) attracted the attention of pharmaceutical field due to its enlarging market share in inhalable formulations. These formulations also pose patient compliance and good shelf life. Earlier DPI formulations were intended for local effect in lung (asthma and chronic obstructive pulmonary diseases), whereas 21st century witnessed formulations intended for systemic effect too. 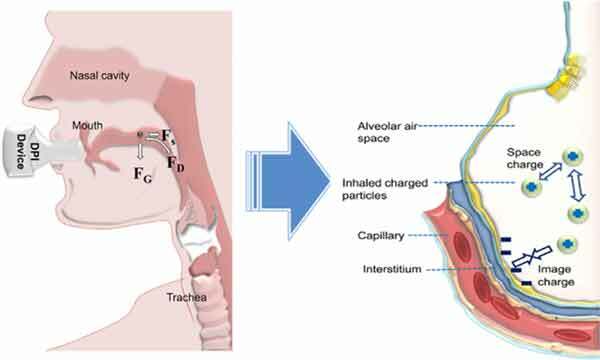 A better understanding of physiology of lung and fluidics of air flow helped in targeting alveoli using DPI technology. Modern characterization tools also accelerated the research pace. In addition to the synthetic molecules, DPI also was proved to be a better system for delivering biological molecules including vaccines. This review includes the mechanisms of drug deposition, advancements in the fields of DPI devices, various characterization tools and particle engineering. In this review we have related the chronological advancement of inhalational technology starting from 1788 AD to the present. Inhalation, Particle Engineering, Nanotechnology, DPI, Hypothesis II. Chemical Biology, Rajiv Gandhi Centre for Biotechnology, Poojappura, Thiruvananthapuram- 695 014, Kerala, India.